I am a daughter of a public school teacher. 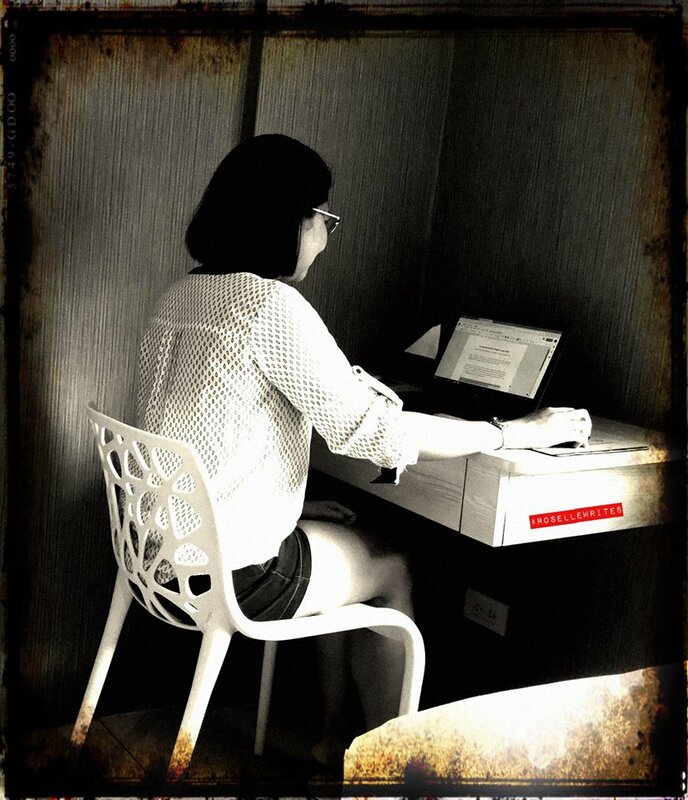 I grew up witnessing the dedication of my mother in her chosen profession. I was very fortunate that my parents could afford to send me to a private school. Although my parents could buy me expensive school stuff, I was trained to be practical. I would sometimes envy my schoolmates and ask my parents to buy me scented pens and cute notebooks. It helped that my mom would often tag me along and attend her Grade One class in Parang Elementary School. I saw children going to school wearing only slippers, no decent notebooks, grocery plastic for a school bag, and no money for snacks. That made me appreciate what I have and made me compassionate. My parents were the best example. They were very generous and always ready to extend help. One of the things my dad told me that I will never forget, "Be thankful that God puts you in the position to help. It is better than being the one asking for help." Viviamo! Inc., makers of the Belle de Jour Power Planner and Navi: Your Life Navigator Journal, always believed in the power of education in empowering the future generation. I support their advocacy on helping out public school students in their quest for quality education. I hope you join me in their latest advocacy, The Pahina Project. 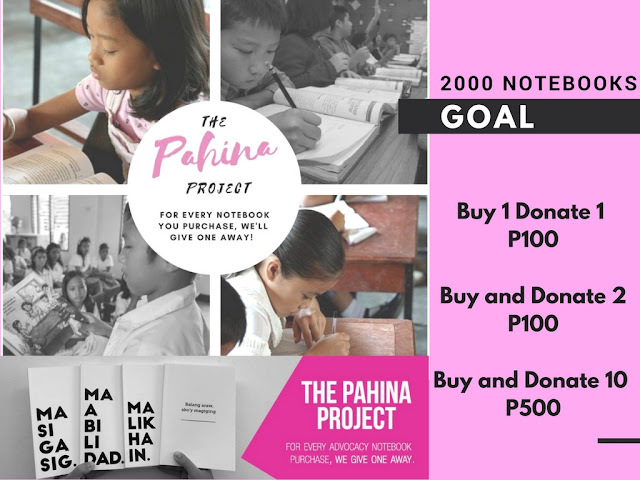 For the month of April, the goal is to raise 2000 notebooks. It's so easy to part of this advocacy. 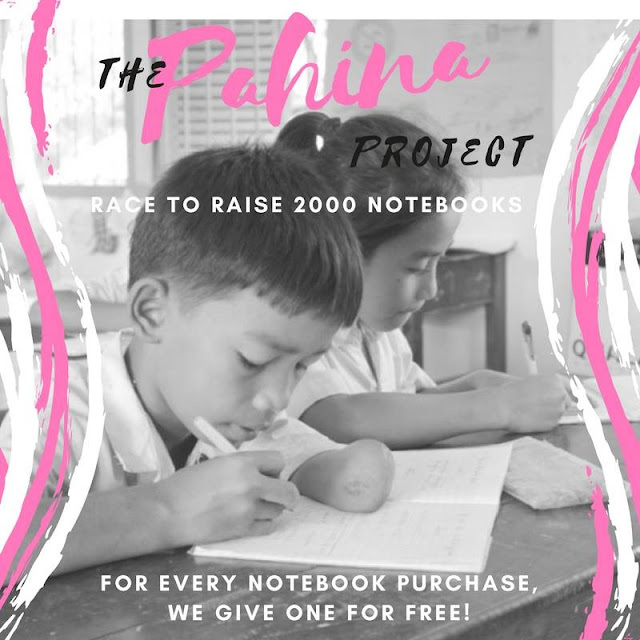 For every notebook you purchase, one notebook is donated. There are also options to buy and donate both notebooks to deserving students. Please also share this article to reach more people willing to be part of this advocacy. 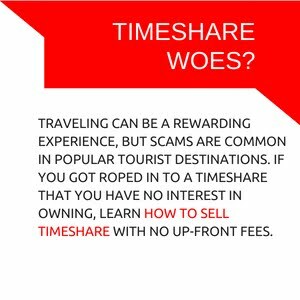 This is a great project and advocacy. I shall support your cause.